While we all can’t be Mister Fantastic from the Fantastic Four, think of your muscles like you would a rubber band—they are easy to stretch when warm, but cold ones break more easily. PumpUp member elizabethmaria points out from the literature that stretching after is “the most productive and safest time because the muscles are warm and pliable.” This will help to minimize stiffness, aches, and pains later on—helping you to recover faster and prevent injury. However, dynamic warm-ups are still important before you exercise! 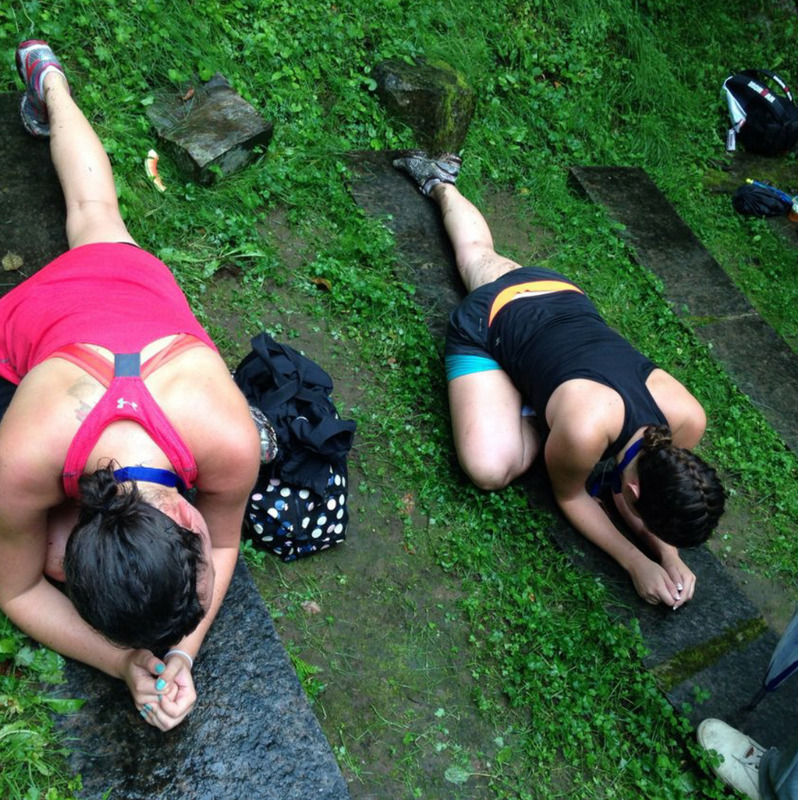 Thank you annakowaleski for sharing us a pic of your post-run stretch and congrats elizabethmaria for answering “C” and winning the pump up swag challenge! Be sure to follow PumpUp’s account on Facebook, Instagram, and the PumpUp app itself for more chances to cinch yourself some PumpUp tanks and bracelets!! Yoga stretching is all in all relaxing to say the least. Not only is it a well deserved stretch and break for your muscles, but yoga stretching makes you more flexible and relaxed and therefore less prone to injury (yay!) Yoga forces you to get your breathing controlled, focused, and aligned with what you are doing. This type of breath control gets carried over to other exercises you do and can actually help improve your stamina! So try some yoga stretching after your big workout today!